IAAI is accredited by two third party organizations: The Pro Board and the Forensic Specialities Accreditation Board. 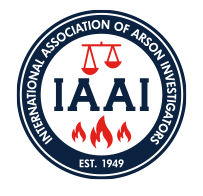 IAAI is the only professional organization for fire investigators that holds both of these accreditations. The Pro Board has accredited the IAAI-CFI® Program to the NFPA 1033 standard. This accreditation means that the testing requirements for the IAAI-CFI certification fulfill NFPA 1033's requirements. Accreditation by the Forensic Specialties Accreditation Board acknowledges that IAAI's Certified Fire Investigation Board, which oversees the IAAI-CFI Program, meets the FSAB's standards for practitioner certification based on an evaluation of the program's training, education, and ethics.